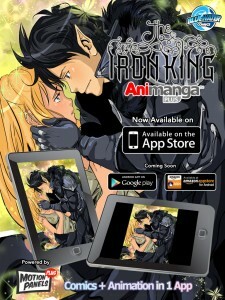 The best-selling young adult novel “the Iron King” has been transformed into a new medium – a comic book series and now an interactive digital comic book. Bluewater Productions has released the first two issues of the 4-issue mini series. Bluewater Productions has partnered with Piglion Studios in developing an animated comic book version, which is released this week on ITunes for $1.99. 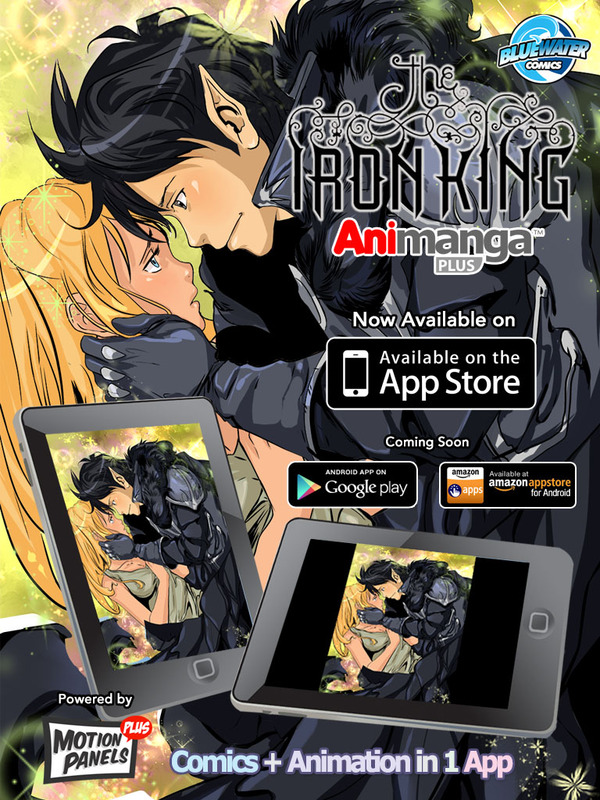 The full-length interactive animated manga motion comic book app will also be released on the Android platforms later this month. Julie Kagawa, New York Times and USA Today bestselling author of the Iron Fey and Blood of Eden series of books for young adults, to “My fans know that I am a huge comic, manga, and anime enthusiast, and I write in a very cinematic and visual manner in part due to my love of this medium”. Julie’s new title in the Iron Fey series “The Iron Traitor” just hit bookstores. “My fans know that I am a huge comic, manga, and anime enthusiast, and I write in a very cinematic and visual manner in part due to my love of this medium,” Kagawa said. “We believe giving subtle movements to make it dynamic and interactive at the same time will help augment the readers’ imagination. Piglion Studio is excited to see the success of this partnership and the fans should be too!” Melch Valimento from Piglion Studio. The Iron King is a young adult novel that was on the best-seller lists for the New York Times and USA Today while getting amazing reviews. The Iron King is the first book in the Iron Fey series, and follows the adventures of a girl named Meghan Chase. On her sixteenth birthday, Meghan discovers her little brother has been kidnapped by a faery race known as “the Fey” and even worse, replaced with an evil changeling and taken into the “Nevernever.” Meghan bravely ventures into the faery realm to rescue him, and that’s where an epic plot unfolds. “The goal is to get people reading&hellipsimple. I was a reluctant reader growing up and comic books helped my reading skills. Comic books are not only for pop culture fun, but also can be used as a tool. We are always trying to think outside the box to get people reading, this motion comic book will be another incentive”, said Bluewater publisher Darren G. Davis. “Motion comic books have come along way since our 1st one we did on Wrath of the Titans. It is pretty amazing how the technology has advanced. I have watched the Iron King #1 over and over and still amazed at how polished it is”, added Davis. This entry was posted in Columns and tagged bluewater productions, darren g. davis, Julie Kagawa, Lidia Chan, Sara Gundell, the iron king. Bookmark the permalink. Follow any comments here with the RSS feed for this post. Post a comment or leave a trackback: Trackback URL.